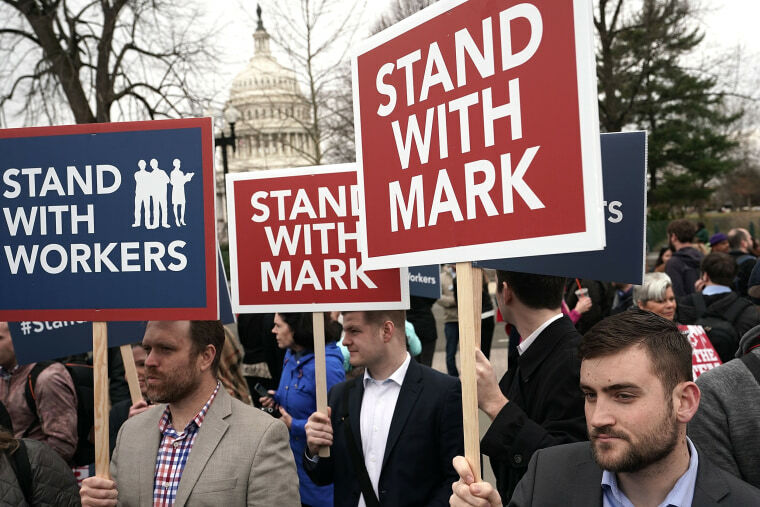 A ruling in non-union public employee Mark Janus’ favor could significantly undermine public unions — reducing both their funding and membership. On Monday, the Supreme Court of the United States heard arguments in a case that could permanently handicap the power of public unions in America, Janus v. American Federation of State, County, and Municipal Employees, Council 31" (known as Janus v. AFSCME). Like so many blockbuster Supreme Court cases, the case’s outcome will have important legal and political repercussions. Although we won’t find out the court’s decision until early summer, the cynical prediction that the court will vote five-to-four — with a decision that benefits Republicans and harms Democrats — is likely true. At issue in the case are the laws in 22 states which allow public unions to require that public employees who are not union members to pay so-called “agency” or “fair share” fees. The idea is that even public employees who are not members benefit from the collective bargaining of that union, and therefore should pay for the union’s representation. Without the ability of unions to charge these agency fees, unions would be spending a great deal of time and money negotiating contracts that benefit both members of unions and non-union members. This creates the problem of non-union “free-riders” — workers who benefit from the union’s collective bargaining efforts but don't pay for them. The Supreme Court blessed this arrangement in a 1977 case called Abood v. Detroit Board of Education, in which the court found that public employees could be forced to pay for expenses associated with collective bargaining and other related activities, but not for political activities. Despite the court’s ruling in Abood, Mark Janus, a public employee who is not a member of a public union, claims that the state law allowing unions to require him to pay agency fees violates his First Amendment rights. Janus specifically argues that by forcing him to pay for union activity with which he disagrees, he is being compelled to speak for and associate with the union. Janus argues that by forcing him to pay for union activity with which he disagrees, he is being compelled to associate with the union. At first blush, Janus’ argument seems to make some sense. Even if he does benefit from the public union’s collective bargaining, there’s something problematic about forcing him to spend money to support activities he doesn’t endorse. The problem is that Janus isn’t actually forced to pay for these activities. Instead, what Janus and other public employees are forced to do is to sign a letter, usually once per year, asking to opt-out of the union’s political spending and then wait for the refund of the percentage of agency fees that were spent on political activity. The state laws that currently allow public unions to compel non-members to pay agency fees are far from perfect. For example, it can be difficult to separate union political spending from spending on collective bargaining. The idea that we can treat those two types of spending as distinct assumes something that Janus urges us to reject: that spending on collective bargaining isn’t inherently political. The current framework also puts the burden on employees to opt out of union political spending, as opposed to putting the burden on unions to trying to get employees to opt in. But Janus, like other public employees, does have an escape route allowing him to avoid paying money to support a union’s political activities. In addition, Janus does benefit from the union’s representation. Therefore one can argue that any potential First Amendment burdens caused by required agency fees are minimal and justified by the importance of preventing the problem of free-riders. The case presents not only an important legal question regarding the contours of the First Amendment, but also a significant political and policy question regarding the power of public unions in America. A ruling in Janus’ favor could cut public unions off at their knees — significantly reducing both their funding and membership. Because some unions set agency fees at close to the level of union dues, union advocates worry that workers will leave the union knowing that the union's bargaining efforts will continue to benefit them — for free. Not surprisingly, the questions presented in Janus seems to have divided people along partisan lines. Democrats are largely the beneficiaries of union support, and therefore oppose attempts to overturn settled law. Republicans would love to see unions politically weakened, and therefore support claims that being forced to pay agency fees is unfair. This may be why under President Barack Obama, the federal government filed briefs in favor of upholding the Abood decision, while under President Donald Trump the government has taken the opposite tack. Not surprisingly, the questions presented in Janus seems to have divided people along partisan lines. After Justice Antonin Scalia’s death in 2016, the court heard oral arguments on a separate case arguing over the same legal issue. The justices deadlocked. This time around, the battle lines remain mostly unchanged. There is little doubt after oral arguments today that the liberal wing of the court will vote to uphold the constitutionality of agency fees, in part because for more than four decades individuals — including employees, unions and members of the government — have relied on the constitutionality of the Abood case. Meanwhile, the conservative wing of the court will likely vote to against the unions, citing First Amendment concerns. The only member of the court who has not previously weighed in on this issue is the court’s newest justice, Neil Gorsuch. But so far, Justice Gorsuch has proven himself to be a reliable member of the conservative side of the court’s conservative wing. Thus, there will be few who are surprised if, sometime in June, the court invalidates state laws allowing for agency fees with a decision split along traditional partisan lines. 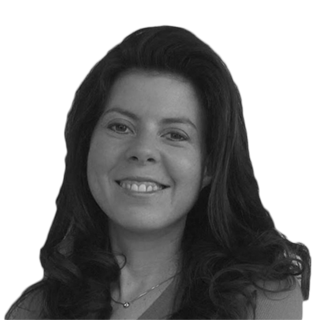 Jessica A. Levinson is a professor at Loyola Law School, Los Angeles, and is the president of the Los Angeles Ethics Commission.